Love is Everywhere: Walking in our own shoes.. Walking in our own shoes.. Looking around me, I often stop to think about what life would like if I were someone else. I see someone and my first thought is, "their life has got to be better than mine." The reality of it though, I never would given the chance.. having someone else's life that is. 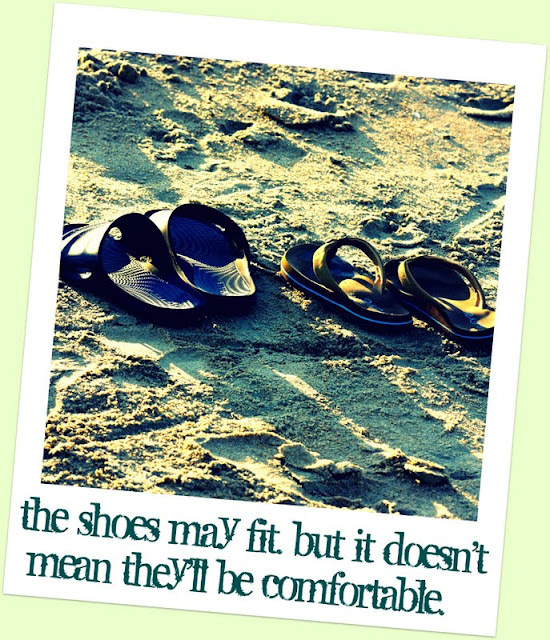 I do feel though it's great to put yourself in someone else's shoes when making decisions. To feel what they feel and understand their point of view in certain situations. People don't do that these days. An example is when someone's feelings get hurt. I see this daily. Observing other people, I see closely how someone's actions, or just a few simple words can cause grief and stress upon someone else. It's heartbreaking. I've just recently began using my 'adult voice' and saying something (very politely of course) when I see someone acting this way. So it begins... "Before and After"
Sometimes we don't follow through & that's okay..
Yeah, We All Shine On..
We can only learn to love by loving..